After seventeen years of being captive of her grandfather, Cate is now free of that prison thanks to her father and his team of mercenaries that rescued her. But her meaning of free is slightly different from her father’s, and after seeing all her attempts to join her father’s team operations go to hell, she decides to start doing things by herself as a photographer. But during one job Cate takes a photo of a person who is supposedly dead and things get chaotic real fast. So her only way out is her father and his team. There’s just one problem, her four-year crush, Ash, is also part of that team. And after spending four years trying to get in bed with him and being ignored, the last thing Cate wants right now is to see him. And there’s more. The op gets one thousand times worse than what they initially thought and they need all the manpower they can get. Which means that people like Sully and Liam, who thought would never have to see each other again, will have to put their problems aside and work (and God knows what more) together. This was interesting. 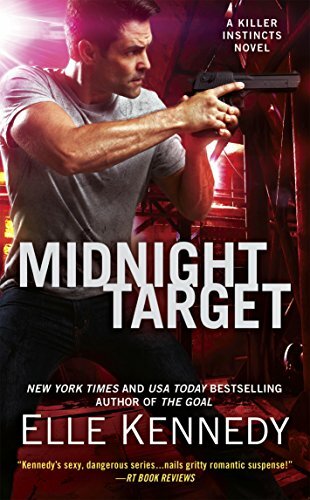 Regarding Sully and Liam, it was a complete surprise for me (I know I should have read the book’s description before I started reading it but I didn’t) because it was my first time reading about an MM relationship. So big WARNING: there are MM sexual encounters so if it’s not your thing, you probably shouldn’t read this book. I don’t know if it’s always like this or it is just Elle’s writing style but I was really at ease reading about their relationship and their intimacy which was surprising because I always thought I couldn’t read anything about it because I would feel disgusted. I still prefer FM relationships but still, it’s not that bad. Sully and Liam are both pretty strong characters. Sully has suffered a lot with his love life and was damaged also by his work, and all that made him feel like he wasn’t worth a relationship nor capable of maintaining one. And while Liam is completely secure in that aspect, his problem is his family who he thinks won’t understand the fact that he is bisexual. So they both decide that they have nothing to lose so it won’t be a problem giving in to their desires. Well, not so fast boys cause their feelings aren’t as buried in their pasts as they thought they were. Cate and Ash have their share of problems as well. Ash always knew about the crush Cate had on him but didn’t want to disappoint his boss, Cate’s father, so he kept his own feelings to himself which just ended hurting Cate on the way. But now that they’re working together and Cate is in danger will Ash finally let his feelings rule his actions? This is a serious book! Don’t expect a lovey-dovey kind of romance cause you won’t find it here! Expect serious trouble and a lot of suspense! There’s obviously love involved but in a team of mercenaries under fire 24/7 their feelings are a lot rawer than your sweetest romance. Their op just keeps getting more serious and dangerous throughout the pages so always prepare yourself to find blood splashed on those said pages! You won’t want to put this book down so you can get faster to the end of the mystery and your misery! I obviously loved the suspense and the fact that they all love each other but in different ways according to what their pasts taught them. Ash protectiveness towards Cate is also a plus one for me! But, I will say it again, what kept me going was the uncertainty of how things could end on both sides! So if you want to treat yourself with a trip down “danger” lane this is the book for you!